Tim Hardaway Jr. is a second year guard with the New York Knicks. The Michigan alum is the son of former NBA star Tim Hardaway. So far in his young career, Hardaway Jr. is averaging 10.2 points, 1.4 rebounds and 0.9 assists per game. 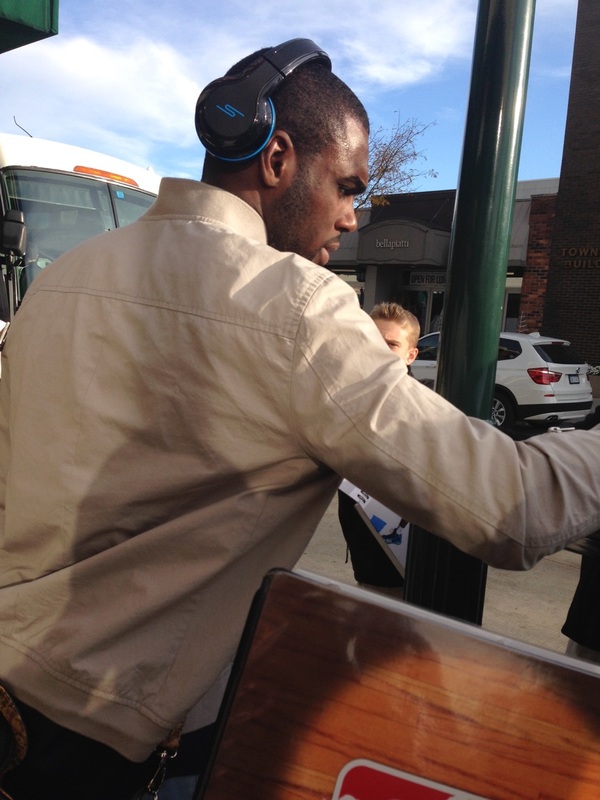 This past Wednesday, while the Knicks were in Detroit to play the Pistons, Michigan based iFolloSports.com correspondent Lance Martinez captured the above original photo of Hardaway Jr. signing, outside the Knicks suburban Detroit hotel. In that evening's contest, Hardaway Jr. scored 20 points and dished out 3 assists, in the Knicks 98-95 loss. Hoops fans can also check out an iFolloSports.com original photo of Tim Hardaway Sr., gathered a few hours after the Hardaway Jr. shot.